The state of your credit score. We say this, as different loans have different criteria that need to be met. We shall explain this below so that you know the most suitable type of loan to apply for. The types of loans you might want to apply for include the payday loan, the short-term loan, and the personal loan. As we work with a panel of lenders, there is more chance of our being able to find a lender who will offer you a loan. While one lender might turn you down based on your circumstances, another might not. Which Loans for Bad Credit UK Might Be More Suitable If Your Credit Rating Is Very Poor? All UK lenders do have to look at your previous borrowing history and this is your credit rating. This is something they have to do by law. No lender in the UK will offer you a loan without first checking your rating, but there are different types of credit checks. Depending on the amount you wish to borrow, say a small sum, lenders might only undertake a soft credit check, while others might make a thorough check, more so if you want to borrow a larger sum of money. 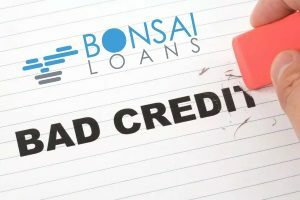 This should not put you off from applying for a loan with the help of Bonsai Finance as the lenders we work with also consider your current circumstances. This means that even if you have a poor credit rating you might still be eligible for a loan. If your credit rating is extremely poor, the choices of loans are going to be somewhat limited. More than likely lenders chance to borrow £5,000 and spread it out over 36 months. Lenders may not offer you a personal loan but they may be prepared to offer you a smaller amount and pay it back quickly. Anyone with a very poor credit score might be better off considering and applying for a small loan. This is referred to as a payday loan. The payday loan is a loan that lenders offer people with very bad credit and it is usually in the region of £100 to £500. The loan is taken out between one and three months, usually by repaying a portion of the loan and interest on each payday. Interest for the payday loan is calculated daily instead of annually, so the earlier you repay the loan the less interest is paid. The percentage of interest may look staggering at first sight. The APR on a personal loan can be as low as APR 3.99% for someone with a good credit rating. However, the typical interest rate on a payday loan might be in the region of APR 4670%. While this is a big difference bear in mind that you are not paying the loan back over the long term, so this APR would not apply. The payday loan can come in very handy if you find yourself suddenly short of money and your next payday is still some time away, hence the name. As the name of this loan suggests, it is a loan taken out over the short-term. Lenders may allow you to borrow between £500 and up to £1,000, but this is going to depend on the lender and your circumstances. 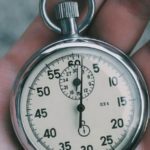 The short-term loan can be repaid over longer terms than the payday loan; however, this is not a loan that offers the opportunity to spread the repayments over several years, as with the personal loan. 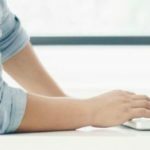 A short-term loan can be applied for if you need to get your hands on cash quickly but you want to borrow more than what you would with a payday loan and spread the repayments over longer. You may be eligible to apply for a personal loan with the lenders we work with, borrow up to £5,000, and spread the cost of repayments for up to 36 months. When considering a personal loan you will need to take into account that the interest may be fixed or variable. If possible, go for a loan that has a fixed rate of interest, as the interest rate is the same throughout the term of the loan. This way you know how much interest is going to be acquired on the loan and what the monthly repayments are. If the personal loan has variable or flexible interest rates, the interest rate can go up dependent on the Bank of England rates. This can work against you if the rates go up but if they go down you will lose out, as you would have been paying less on interest. Therefore, there are pros and cons to taking out a loan with a fixed rate and variable rate but the fixed rate does allow you to budget and you do know exactly where you stand. As you can see from above people with a poor credit rating do have choices when looking for loans for bad credit UK. We work with a range of lenders who offer loans for people with bad credit as they consider the current circumstances of people, not just the mistakes they made in the past which show on their credit file. Providing you have a regular income, from a job or benefits, there is nothing to stop you from applying with our help. Just choose the amount you want to borrow, how long you would like to take the loan over. We will then match you up with our range of lenders to find one who will give you a loan.